Scarewood Forest Website goes Live. In Liverpool Shiverpool scare because they care. The website for Scarewood Forest goes live today after months of planning and hundreds of years in the making. 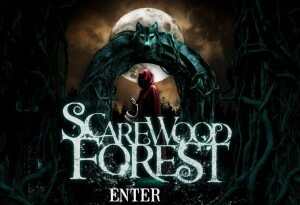 Scarewood Forest is Shiverpool’s autumnal Hallowe’en Festival set in Formby Pinewoods. The event takes place on the 27/28th and 31st of October. It is made up of various installations all with a dark fairy tale theme. This new installation that will be constructed over the summer months, offers the company’s first location based attraction set to take you and everyone you know on the most unique, fun and frightening experience in the North West. All the senses will be ignited with a full interactive, theatrical experience using the latest technologies to stimulate the imagination. Shiverpool’s aim is to be creeping around your head long after you’ve gone home and turned off the lights. The attraction boasts three haunted houses and caters for everyone. 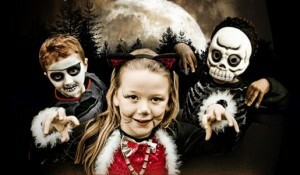 Between 3pm and 6pm Scarewood is a fairy tale wonderland suitable for your Little monsters with fun activities and larger than life characters. (Suitable for 6 to 600 years old). 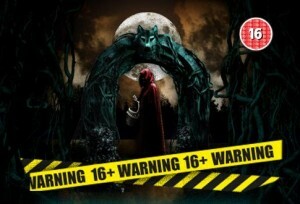 Afterdark, 7pm onwards the forest becomes alive with dangerous ghoulish grisliness (16 years +) …so what are you afraid of? You can also expect a delicious market place with hot and cold food provided by the cities hottest new venue, Camp and Furnace are creating a Woodland inspired menu. . Liverpool’s two masters of the coffee bean from Bold street coffee and the aptly named Green Cauldron from will be squaring up for a coffee off, we have seasonal games, pixies, fairies and Wizard School and much more! Learn about the true meaning behind some of our most popular and well-loved nursery rhymes, encounter mythical beasts and tantalising treats, but be warned, the ‘Nightmare’ characters will be lurking so you must keep your wits about you to avoid a grisly end. Shiverpool, one of the best Ghost and History tour operators in the UK, already offer an infamously spooky selection of the best guided tours, telling stories with integrity and ingenuity about the places you never even knew existed and their hidden histories. John Stone, Shiverpool’s creator says “Scarewood Forest is something I have wanted to do since the beginning. We are greatly inspired by stories and in particular fairy tales here at Shiverpool Towers and we wanted to bring stories like ‘Hansel and Gretel’ and ‘Little Red Riding Hood’ off the page and into real life, except our version will be closer to the original stories before they were given frilly knickers by the Victorians. We’re really excited that the website is up, running and open for business. This fantastic event has been made possible through the partnerships that we have developed throughout the region. Working with L.E.P, Sefton tourism, Mersey travel and the national trust to name but a few has added value to the event, drawing upon their knowledge and experience has been a real boost. Brilliant young students from Liverpool community college have produced lot’s of ideas whilst their superb staff have contributed significantly to the project . Sefton council events team have been of fantastic support, helping to pull together the right people, skills and expertise. Shiverpool think outside the coffin to educate and entertain, the murderous magic of this brilliant new attraction will delight your little monsters and provide fuel for your own imagination for years to come. Remember, we scare because we care! Online Now or call 0151 709 2030. Follow us on twitter!